Acids and bases are everywhere around us in different types of liquid, they are present in fruits you eat and in the things you use e.g. vinegar, soda bottle, liquid dishwashing soap etc. Acids normally taste sour and bases feel slippery and taste bitter. Water has the ability to act like acid or bases depending on the condition. It depends on the type of ion present in the liquid to make it acid or base. If a liquid contains more hydrogen ions than it is acid, if it contains more hydroxide ions than it is a base. A liquid is neutral if it contains both hydrogen ions and hydroxide ions equally such as water, it is neutral. Acids and bases react and neutralize each other and produce salt and water as a product. Scientists have developed a scale to measure the acidity or basicity of a liquid known as pH Scale. It starts from number 0 to 14. If a liquid has pH of 0 then it strongest acid, then up to number 7 on pH Scale it becomes weaker and weaker. At pH 7, a liquid is neutral means it is neither acid nor base. After pH 7, Basicity of a base increases up to 14 at that level a base is the strongest base. 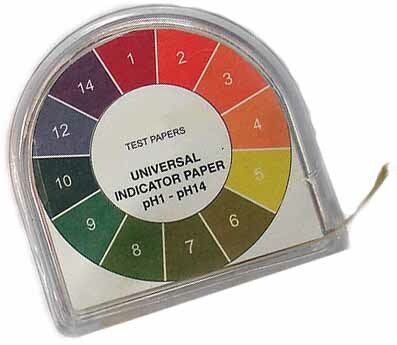 pH is measured with a pH paper and digital meter. 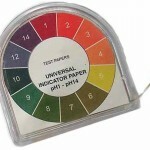 A pH paper when dipped into a liquid it changes color for different pH values than that color is matched on the chart to find the pH because each color has a pH value assigned on the chart. 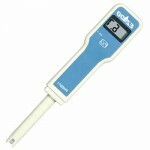 Digital pH meters are very easy to use, just dip their sensitive bulb in the solution and they will show the value on the LCD. Hazard – How much harmful they are? 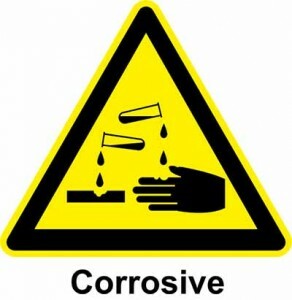 Acids with low pH around 1 and bases with higher pH around 13 are very reactive and dangerous, it can cause severe skin burn. They readily react with most of the metals and gives hydrogen which is highly inflammable gas. Special precautions must be taken when handling acids or bases. Abdul Wahab, "Acids and Bases," in Science4Fun, April 13, 2019, http://science4fun.info/acids-and-basis/.